Which Films Stick to Coated Fabrics? Just before the beginning of WWII, American chemists developed synthetic polyamides. Polyamides are complex molecules called polymers, which are comprised of smaller “amide” monomers. In nature, these polyamide molecules occur as proteins in fibers, such as silk and wool. In the modern world, the best known polyamides are nylons. Because of their strength, elasticity and abrasion resistance, polyamide fibers are used in manufacturing durable apparel, such as jackets, swimwear and other sports garments. Often nylon textiles are coated to make the garment water-resistant. In decorating these fabrics with heat transfer films, these coatings can also resist standard hot melt polyurethane adhesives. To adhere to coated fabrics, the RTape/SEF FlexCut Sticky Nylon (a polyurethane film for plotter cutting) and Tatoo Nylon (a printable polyurethane film) are coated with a special polyamide hot melt adhesive, which has an affinity for other polyamide materials. While you may have heard that opposites attract, when it comes to adhesion, “like” materials usually build stronger bonds. Tatoo Nylon is printable using solvent, ecosolvent or latex inkjet printers. Before laminating the applique with RTape HotMask HM350, make sure that the print is thoroughly dry. Otherwise you could smudge the image. While inks can dry in as little as fifteen minutes to a half an hour, some prints will take longer. High humidity and other ambient shop conditions could prolong the drying process. 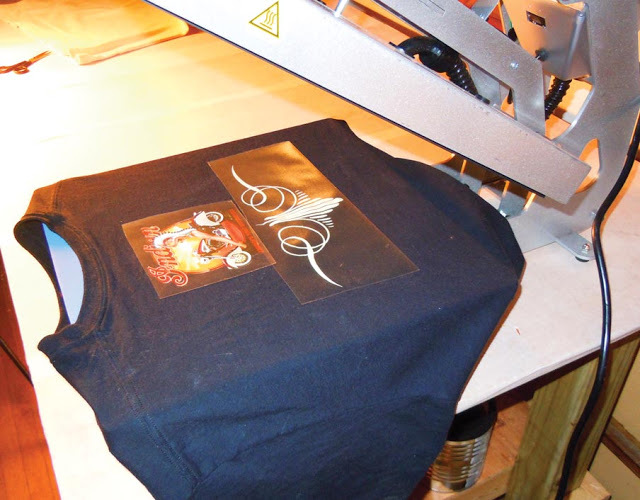 To heat press FlexCut Sticky Nylon or Tatoo Nylon to a garment, set the temperature at 240⁰ F (115⁰ C). After the printed Tatoo Nylon has dried, squeegee HM350 to the applique using good pressure. Remember that the adhesive on HM350 is a pressure sensitive and it takes pressure to promote adhesion. After laminating the transfer tape, allow 20 to 30 minutes before use. 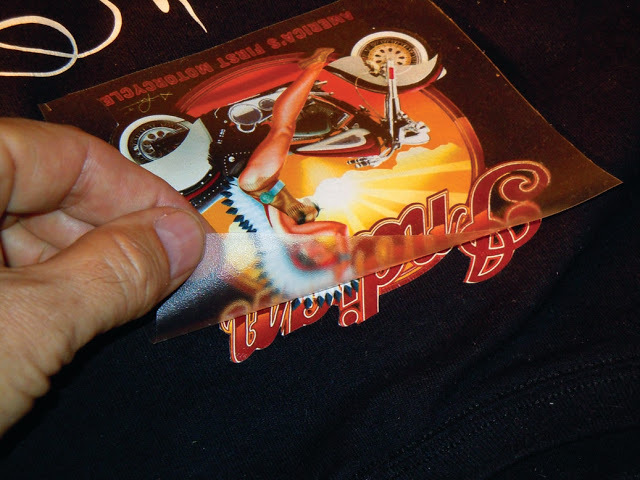 To heat press FlexCut Sticky Nylon or Tatoo Nylon to a garment, set the temperature at 240⁰ F (115⁰ C). After pressing the applique for 17 seconds at medium/high pressure, remove the HM350, after a couple of seconds, while the garment is still warm. After pressing the applique remove the HotMask, while the garment is still warm.